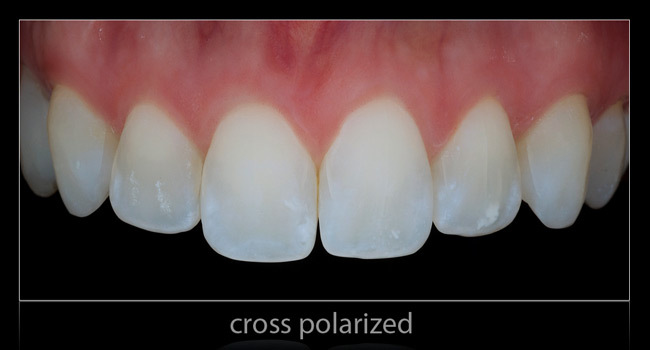 polar_eyes is a cross-polarization filter that makes it easy to eliminate unwanted reflections on the teeth that are caused by the flash. These specular highlights can obscure details in the teeth and cause problems when communicating with the lab. 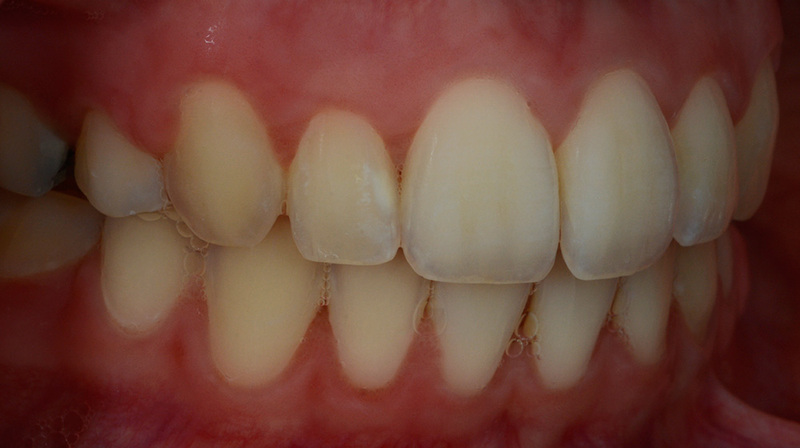 The sample photos on this page show the typical reflections from a flash (without polar_eyes) and the reflection free result when using polar_eyes. The filter attaches to your macro flash by small magnets. 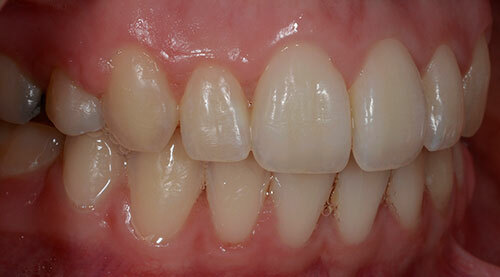 This allows the filter to be quickly attached or removed for patient photos. Metz MS-1, Nikon R1 / R1C1 system, Nissin MF18, Sigma EM-140DG, Yongnuo YN24EX as well as Canon, Nikon and Nissin wireless flashes when used with the PhotoMed R2 bracket. 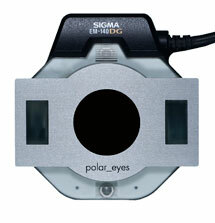 PLEASE NOTE: in order to use the polar_eyes with Nikon's R1 or R1C1 macro flash system, you will need the Nikon SX-1 Attachment Ring and a lens adapter ring that were included with your flash system. If you have misplaced your SX-1 ring, see the update below regarding our new polar_eyes Lens Adapter. 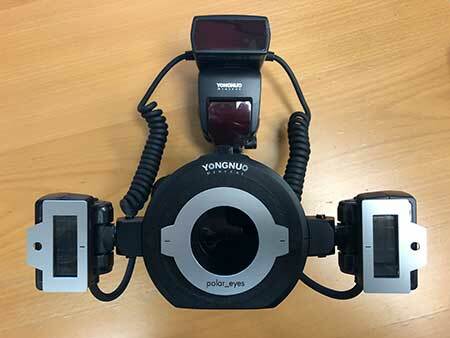 We now have a polar_eyes cross polarization filter for the Yongnuo YN24EX macro flash. Choose the Yongnuo YN24EXfrom the drop-down list to order the new filter. 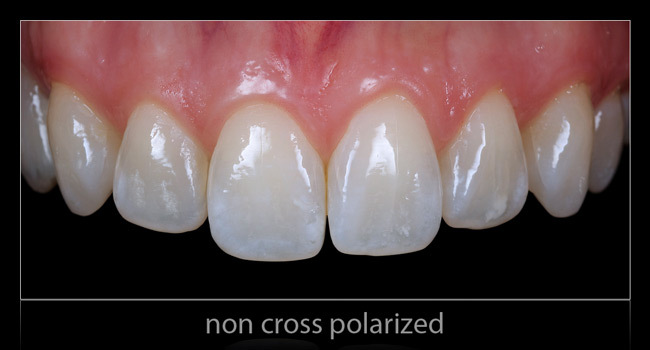 We now have a polar_eyes cross polarization filter for the Nissin i40 flashes when used with the PhotoMed R2 Dual Point Flash Bracket. Choose the Nissin i40 from the drop-down list to order the new filter. This package requires the Lens Adapter Ring. 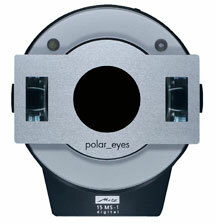 We now have a polar_eyes cross polarization filter for the Nissin MF18 macro flash. Choose the Nissin MF18 from the drop-down list to order the new filter. 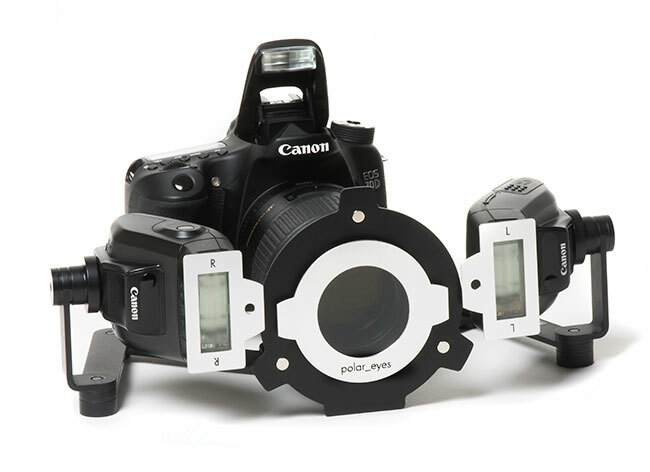 We now have a polar_eyes Lens Adapter Ring that allows the polar_eyes filter to be used with Canon 270 EX II and Nikon SB-R200 flashes mounted on the PhotoMed R2 dual point flash bracket. 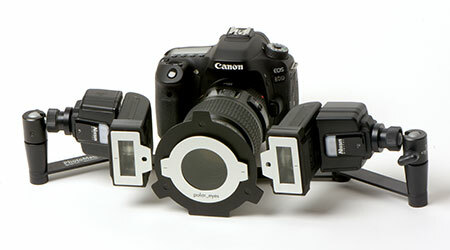 Shown below is a camera system using the Canon 270 EX II wireless flashes on the R2 bracket and the new Lens Adapter. 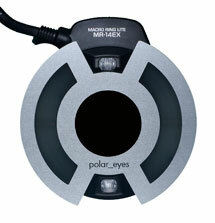 The polar_eyes lens filter attaches to the Lens Adapter and the flash filters attach to the flash heads. The lens adapter is available to fit macro lenses that have filter thread sizes of 52mm, 55mm, 58mm, 62mm, 67mm and 72mm. 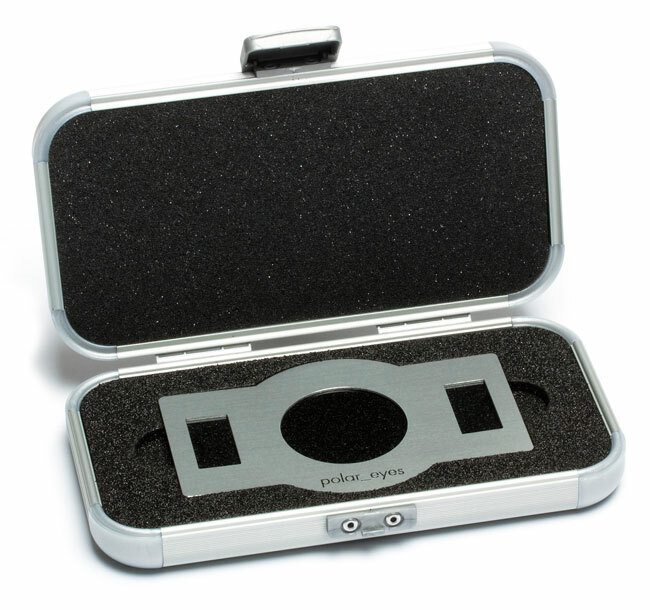 Please specify which size you need - one mounting ring is included with the Lens Adapter. This video (courtesy of our Japanese distributor, AG Pac Inc.) shows how the polar_eyes filter attaches to the macro flash. Thanks to Junji Toyoshima from AG Pac Inc. for this video.